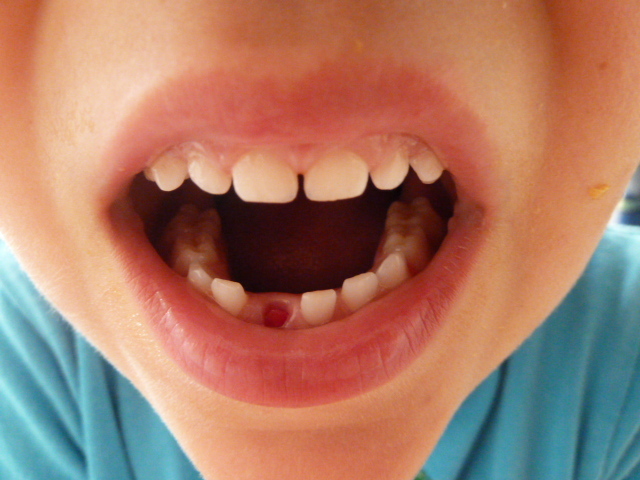 Patrick’s second wobbly tooth was just hanging in there all day whilst sightseeing in Valencia. Just before bedtime we suggested that it was so loose that he could probably pull it out by himself. With tissue in hand we counted him down and he pulled. 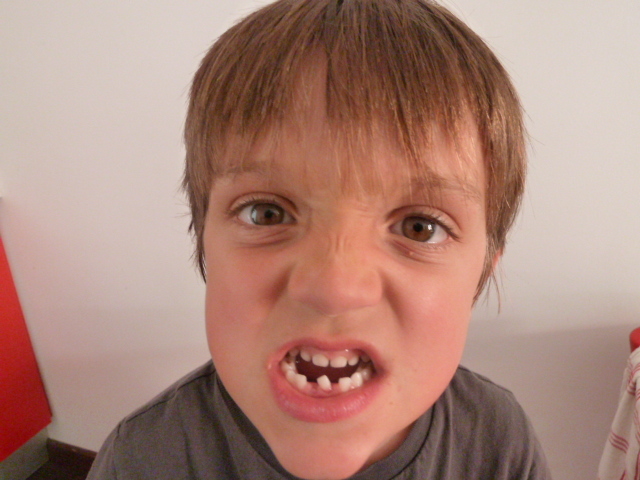 Yep, second loose tooth was out; two teeth out in Spain for the tooth fairy. 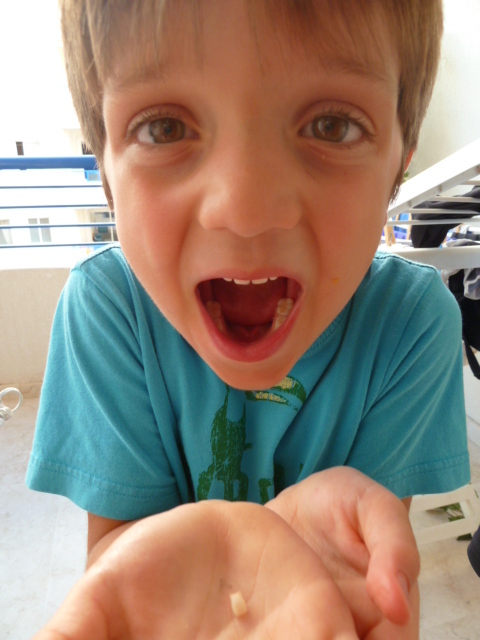 This time the fairy left 4 Euro! 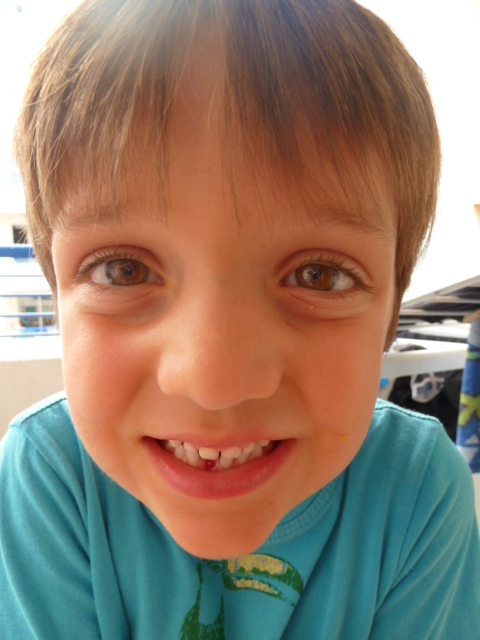 The ‘blood’ orange story by Patrick … read on! 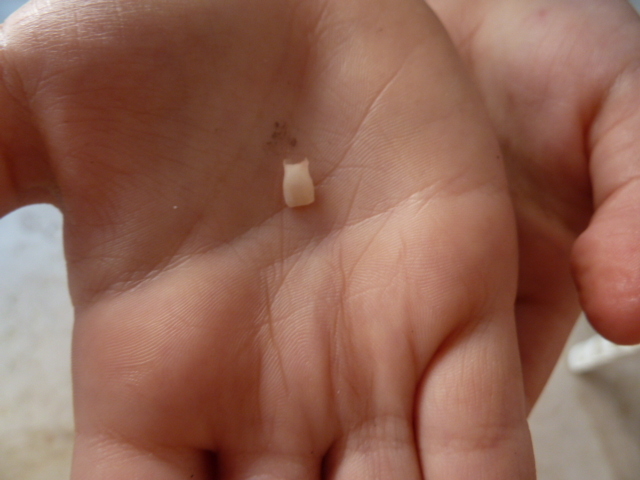 Patrick’s first tooth lost in Marbella, Spain. Words by Patrick. Photos by Mum.